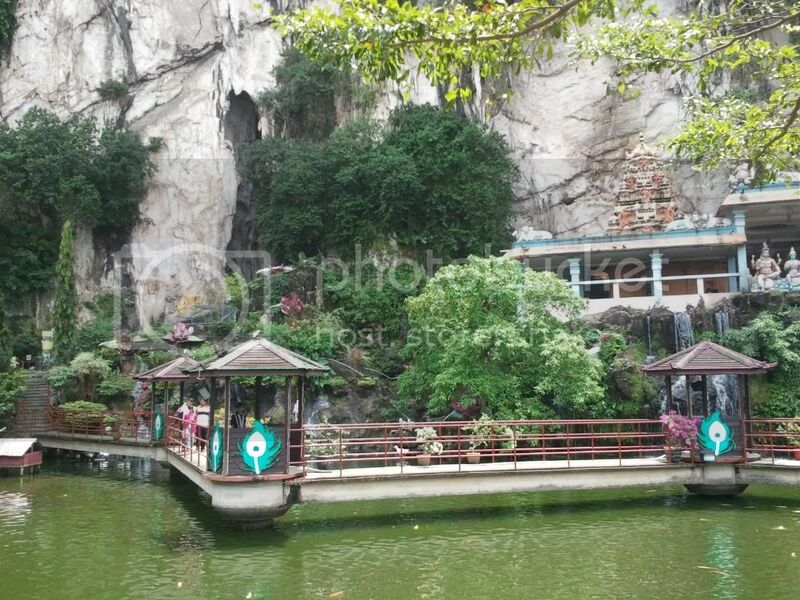 The caves are located at Selangor, in Gombak district, to be specific. There is a Gombak station in the KTM line and I almost ended up going there. 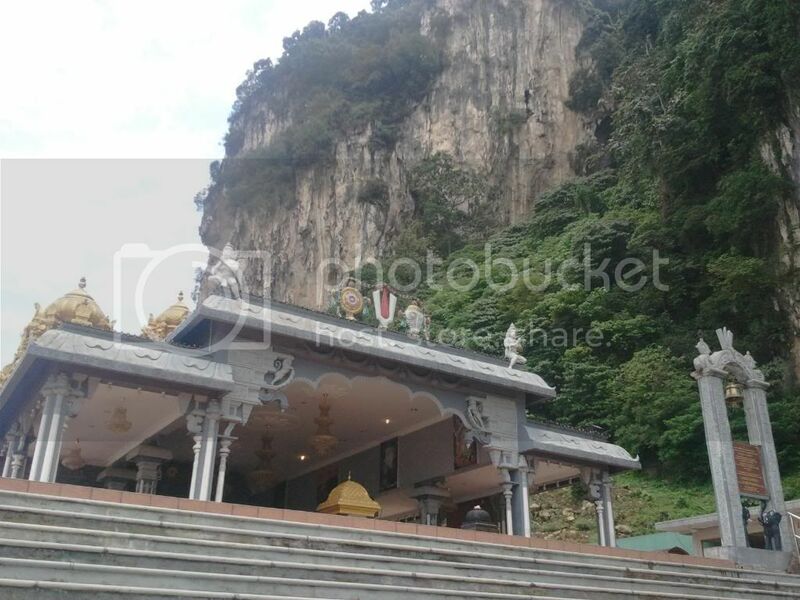 Friendly reminder: Batu Caves is on the other end of the Klang line of the KTM Komuter. 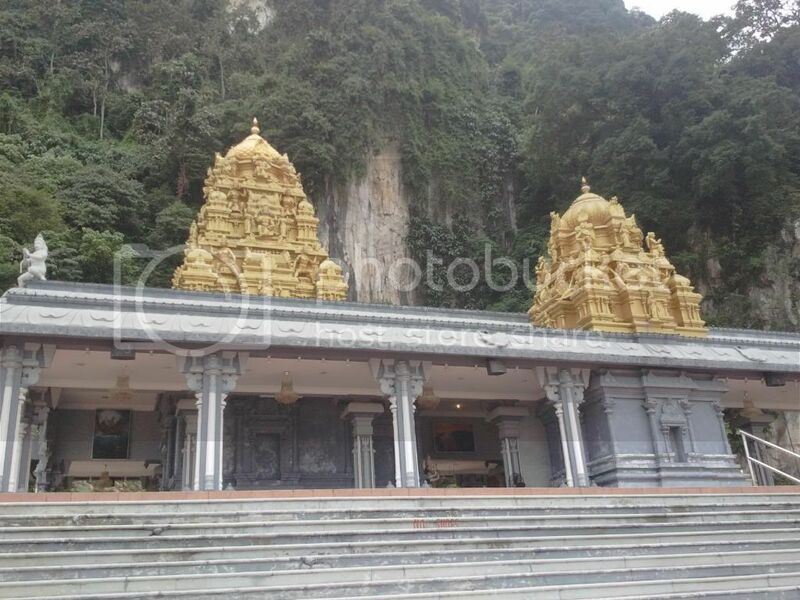 Take this line and you end up directly at the entrance of Batu Caves. This line has a lot of quirks and I honestly think that the Malaysian government should retire those trains. The trip was so slow it was as if we were following a funeral procession. What should you expect upon arrival? Monkeys, lots of them! No, this is not a code name I invented for tourists. I am talking about real monkeys here, those that eat bananas. They roam around free along with those pigeons that only come to you for food. Ungrateful bastards. The monkeys seem to be revered, though. By the entrance is a giant green sculpture with the body and face of a man but with a nose and mouth of a monkey. Weird combination. Sorry, I really do not get Hinduism; maybe I should read more about the topic. You could feed the monkeys and take pictures with them. The question is : would they want to take a picture with you? The place is like Ngong Ping for Hinduism. 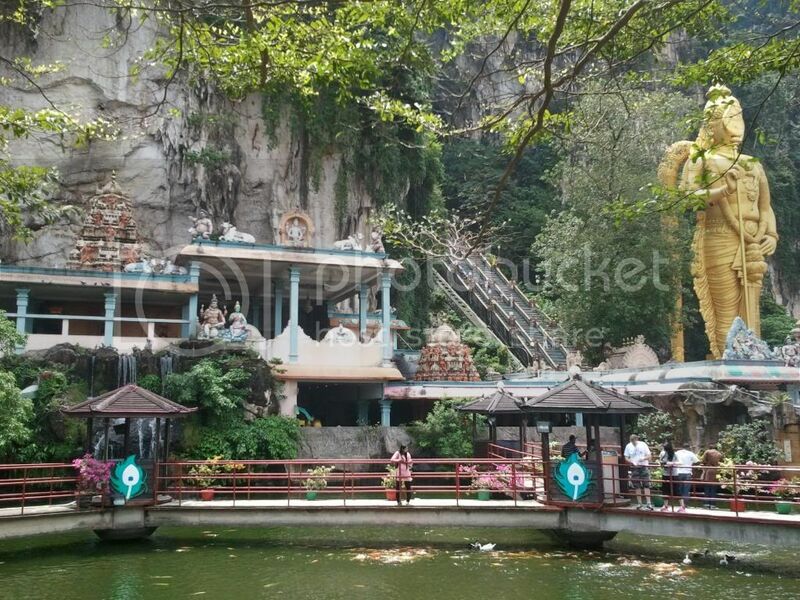 I do not know which has more steps, but for some reason I find Batu Caves to be the easier climb. The place is not boring because of the many adornments everywhere. 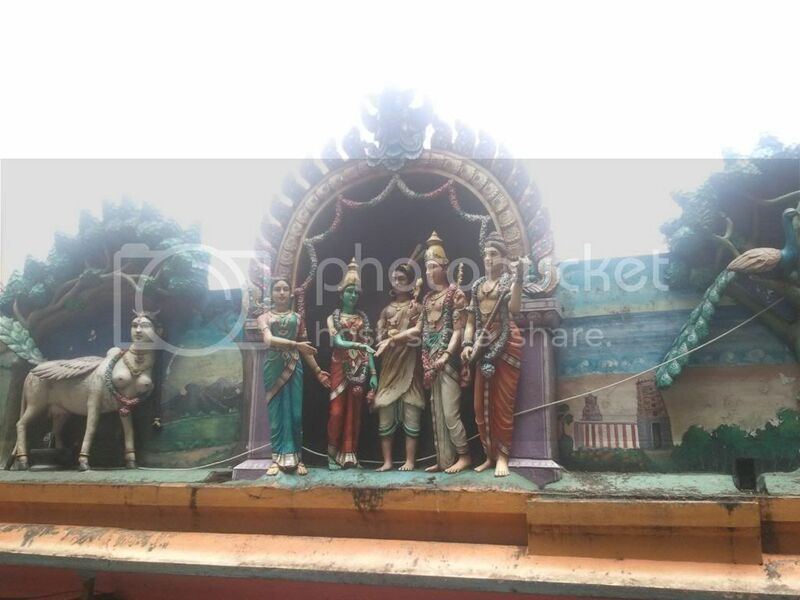 You know how Hindu temples are so elaborately designed? Even the sculptures seem real because of the painstaking attention given to minute details. On top of the hill is the entrance to a cave. 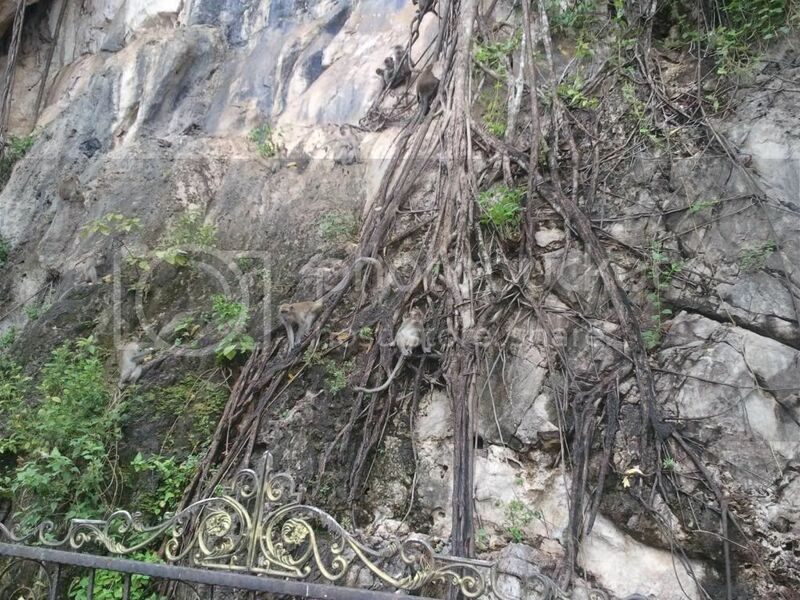 The floor has been paved with cement while the wall remains natural and embellished with more sculptures that seem to serve like altars. The cave is not that big. After the first large chamber are more steps leading to a smaller chamber with a mini temple in it. End of tour! It is not that dark inside because there are enough artificial lighting and openings for sunlight to come in. 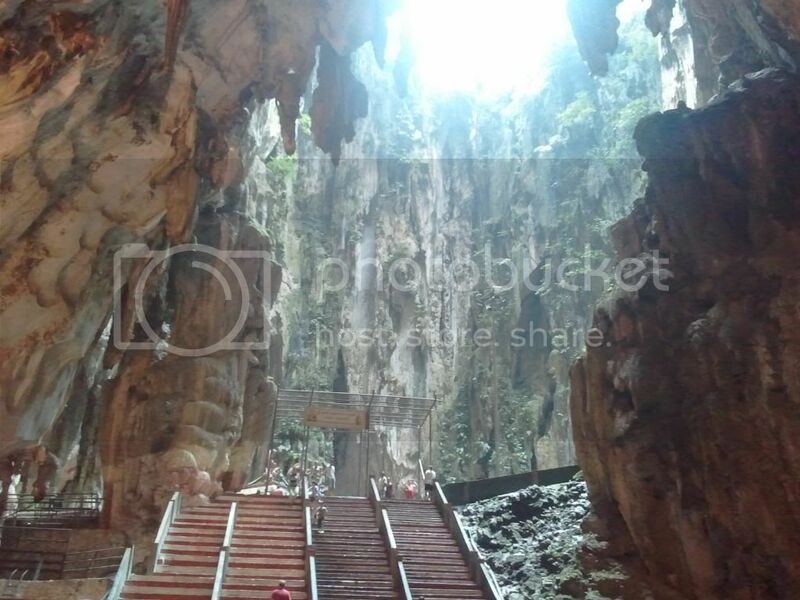 The entrance to the Dark Cave is to the right of the steps going down. I did not inquire if there is an entrance fee; neither do I know what is inside, but outside there were more monkeys just playing around. All in all it took me less than an hour and a half. As mentioned, it was a good exercise as well as a visual feast. The trip back to KL Sentral was marred with frequent stops and change of trains thanks to the very old KTM Komuter line. I would have reached KL Sentral faster if I ran. nakaka-ilang out of the country ka this year ah, monthly away ata, hehehe !! 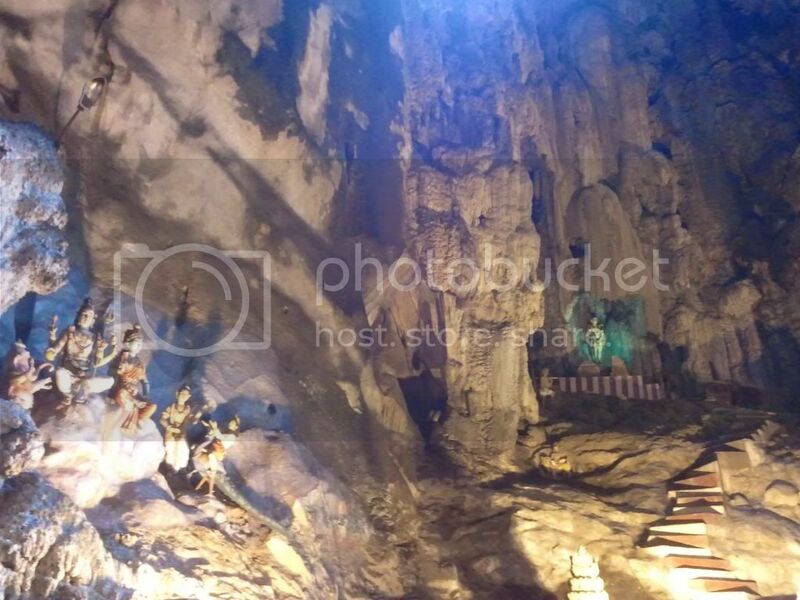 i think mas interesting ang batu cave kay sa giant buddha sa lantau.kahit walang laman yung cave na yun papasukin ko kasi namamangha ako sa laki nya. @melvin - somehow I agree. 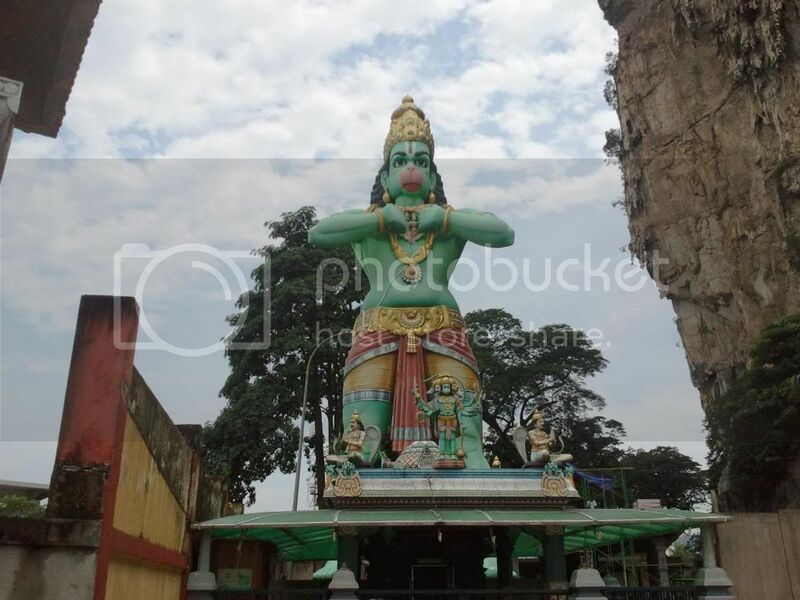 Kasi medyo common ang mga Buddhist temples and statues e. For Hinduism, I think ito ang una kong nakita na giant statue, although sa Malaysia and Singapore marami rami ring Hindu temples.